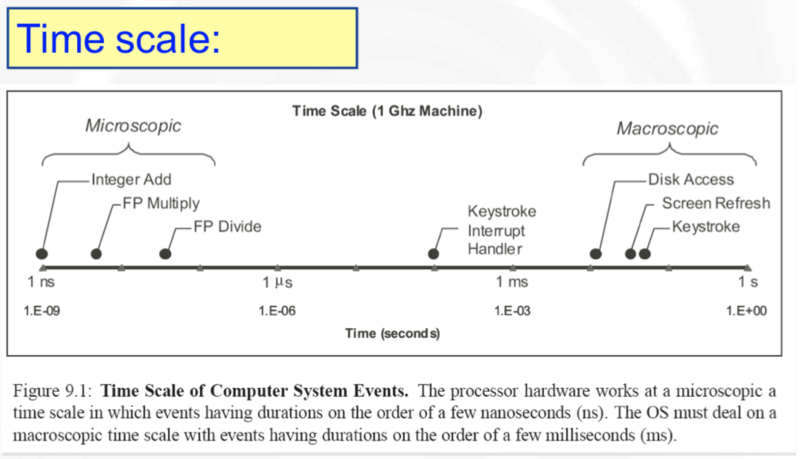 Computers operate on two fundamentally different time scales. 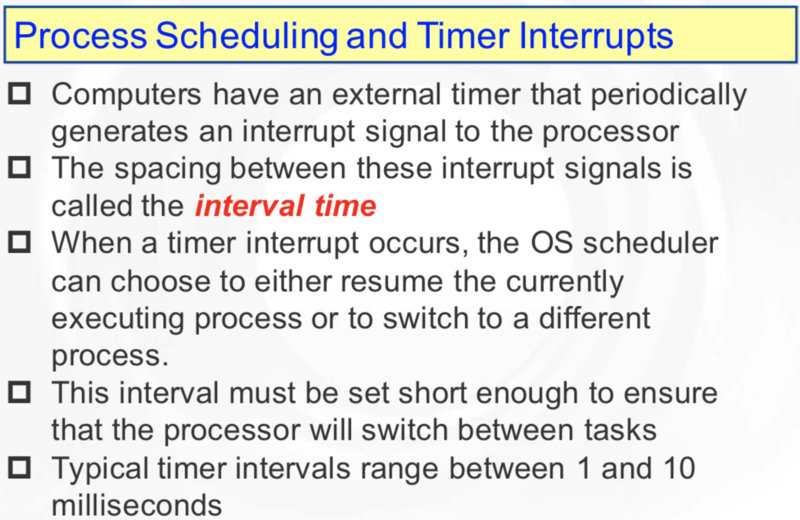 processor must respond to external events that occur on time scales measured in milliseconds (abbreviated “ms”). The operating system also uses the timer to recordthe cumulative time used by each process. 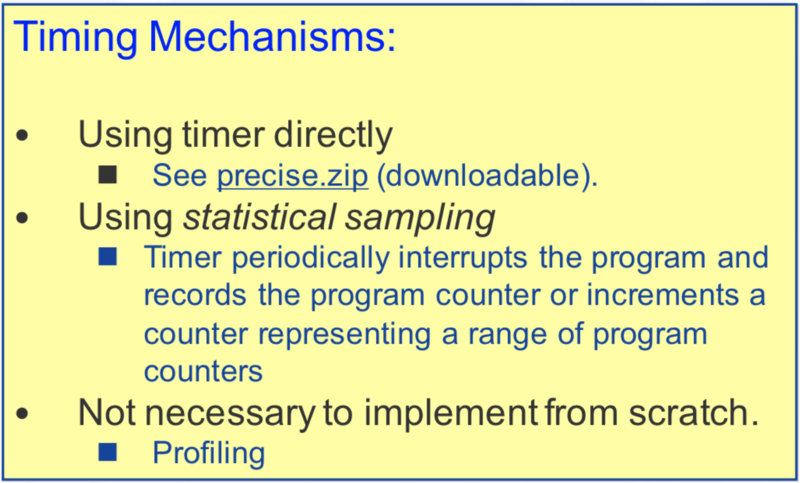 This information provides a somewhat imprecisemeasure of program execution time. A time segment refers to the period during whichjust one process executes. These places where the computer spends most of its time are also called hot spots,inner loops, and kernels. All programs have hot spots. A little effort can have large payoffs. If only part of a program can be sped up with parallel processing, then thesequential part of the program woulddetermine and limit the possible speed up. Knowing how to optimize is an importantskill. 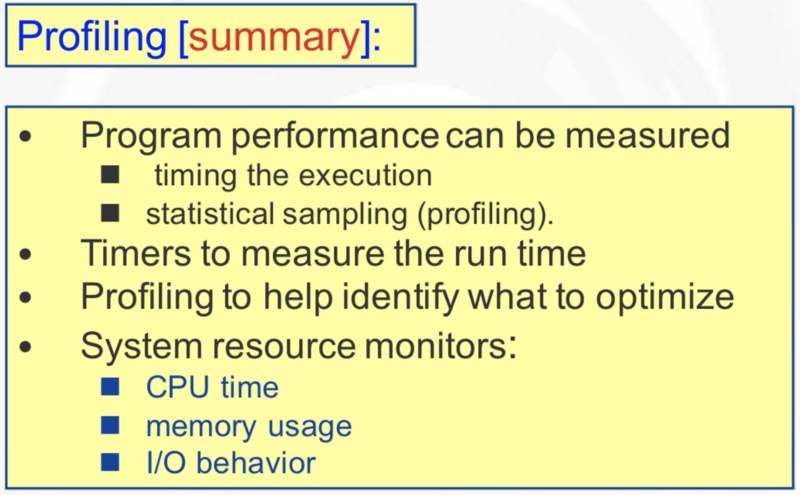 Knowing when to stop optimizing isalso important. String manipulation is expensive, whether it is formatting text as in printf, reading ASCII text andconverting to numbers, or performing stringcomparisons. Modern computers are designed to accessmemory a word at a time. Accessing a character is no faster than accessing a word, and may be slower. String operations usually operate one character ata time, i.e strlen(), has to examine every character,one at a time. use static or local variables to avoid allocating memory on the heap. keep a list of objects that need to be allocated often => explicit free-list. 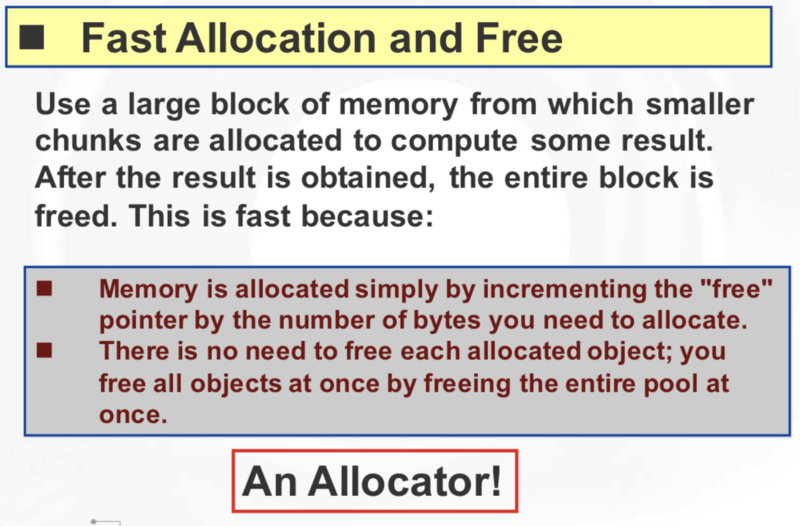 Then, allocation is just a matter of removing an object from the list, and freeing simply inserts the object on the list.